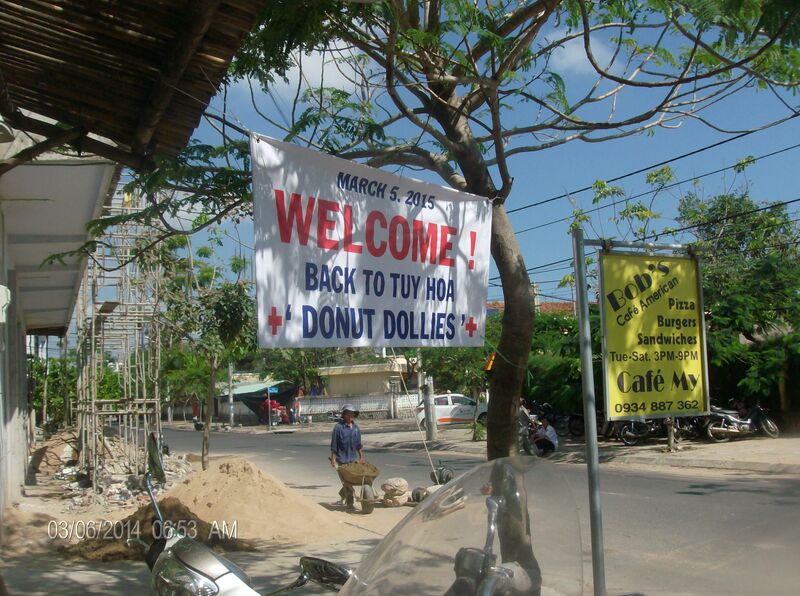 The next stop on Donut Dollies Dorset and Mary’s first trip to Vietnam in 46 years was Tuy Hoa. 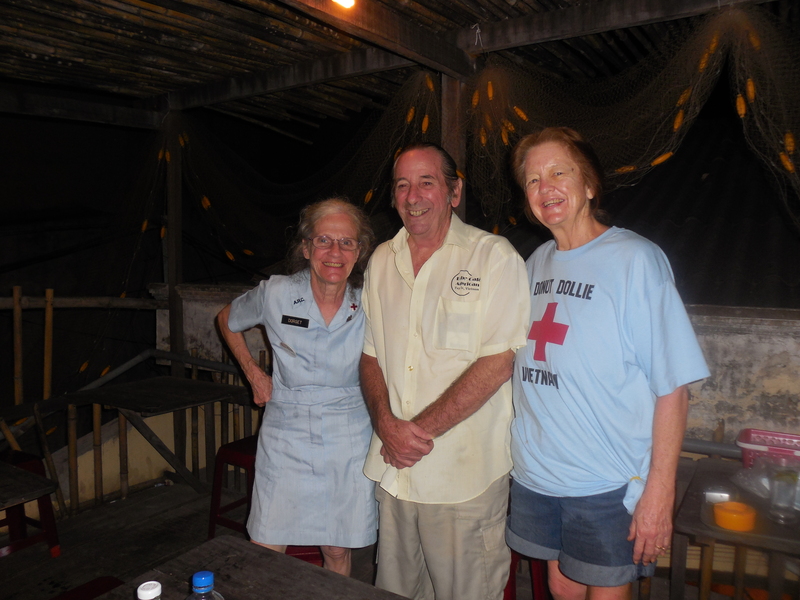 Thanks to the hospitality of expat Vietnam Veteran (’65 – ’68), Bob Johnston, the owner of Bob’s Cafe American, the Dollies and the film crew spent a couple days in Tuy Hoa. 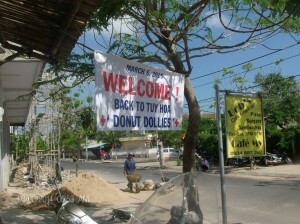 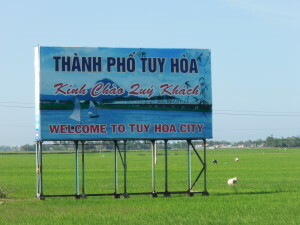 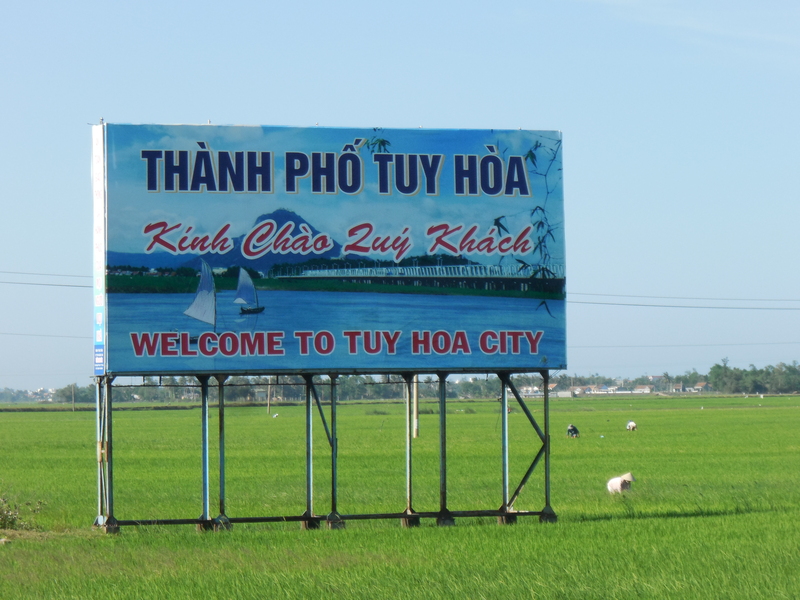 The first photo shows the Welcome to Tuy Hua billboard, followed by the Welcome Donut Dollies sign at Bob’s Cafe American, and Dorset and Mary with Bob.